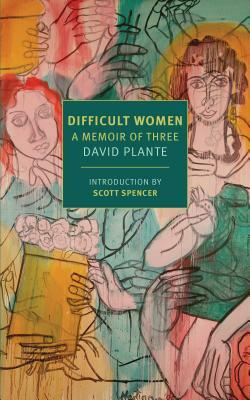 A reprint of David Plante’s polarizing memoir of his friendships with three influential women in the literary world: Jean Rhys, Sonia Orwell, and Germaine Greer. Plante’s novels are anguished, cerebral affairs about the spiritual lives of working-class Catholics; Difficult Women will outlast them. It shows a remarkable gift for portraying talk, dress, and self-presentation, and for pacing a scene. 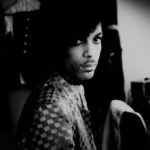 The women never stop talking, perhaps because they never feel heard; occasionally they are reduced to shouting … It is obvious enough that the book is a self-portrait of the artist as a young gay man drawn to outrageous female companionship. But all works of art are self-portraits of one kind or another. I suspect that Plante loved these women in his own way, and that his act of betrayal felt to him like tribute. He has the cold, killing passion of a lepidopterist, but in the end the book succeeds because the women are so horribly alive. Difficult Women is creepy, it is cruel, it is morally indefensible — and it is exhilarating … There may be no defending these heartless portrayals, but there’s also no denying their power. Each scene is expertly staged, and burns with the same dark excitement you find in Mary Gaitskill’s fiction or Harold Pinter’s plays, the feeling that these characters have sought one another out to exercise hidden fears and desires, to expose primal wounds … Nor is there any denying how severe Plante is on himself. He is the book’s ugliest character, a Uriah Heep content to grovel at the feet of genius (or, at the very least, social influence), lap up abuse and act out his revenge on the page … The women may utter Plante-speak, they may look ridiculous — they throw tantrums (Rhys), bully their dinner guests (Orwell), wander around half-dressed and flashing the neighbors (Greer) — but they get the best lines. There is no question: Reading this book made me feel queasily complicit in the author’s moral transgressions. Dressing up that discomfort as a ‘moral challenge’ endows Plante’s motivations with a nuance they simply don’t deserve. We are accustomed to thinking of memoir as a window, but in Plante’s case, it is more like a shield. Under cover of ‘it was my own experience,’ he finds the liberty to write and print cold-blooded commentary about other people, and spill their secrets … Plante is writing about three people of his close acquaintance, but his actual subject is his own contempt—for them and, presumably, himself. Were he to get to the bottom of this contempt within the pages of this book, it would be a very good book. What did you think of Difficult Women: A Memoir of Three?